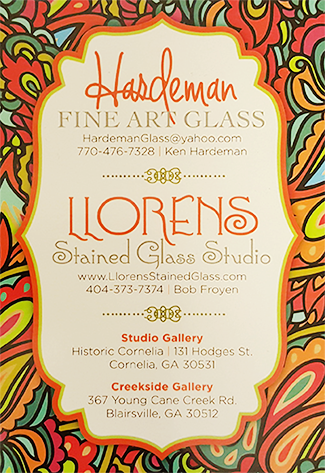 One of the nation’s oldest and most trusted stained glass specialists, Llorens Stained Glass Studio/Hardeman Fine Art Glass offers beautiful stained glass creation and glass repair services to Atlanta, GA, as well as nationwide. Our seasoned professionals work with unmatched skill to craft breathtaking works of art for churches, homes, hotels and commercial properties. Browse our beautiful stained glass art works! The beauty and breathtaking allure of stained glass windows is nothing short of marvelous to behold and at Llorens Stained Glass Studio/Hardeman Fine Art Glass, we understand that the perfection of these windows resides in the craftsmanship that goes into them. For over 100 years we’ve worked to provide churches, hotels, homes and other buildings with the perfect accents for their windows, replacing traditional window panes with works of art that continue to live on for years. Each window pane we create is tailored with the utmost care and quality, meaning each piece of art glass out of Atlanta, GA that we touch is guaranteed to be of the highest caliber. Far and above just creating works of art, we also repair them—restoring the luster and beauty to your centerpiece. Our services encompass stained glass needs, from creation to restoration and everything in between, allowing you to enjoy the work of art that is your window for years and years to come. It’s our tradition to always maintain the integrity of stain glass works of art, so you can be sure that when Llorens Stained Glass Studio/Hardeman Fine Art Glass touches your masterpiece, we’re doing so with the care and commitment that will ensure its lasting perfection. Here are a few great reasons to trust our professionals with all of your stained glass needs. We’ve been crafting and repairing high quality stained glass windows since 1920. Our work has been featured in countless design publications and won many awards. 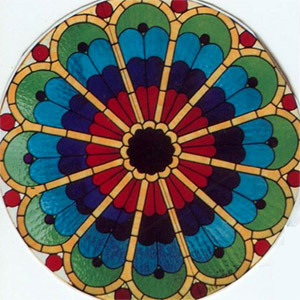 We offer services for all stained glass customers, local and nationwide services, as well as five foreign countries. Our skills and expertise encompass a vast array of designs and window types. Our attention to detail and care is unsurpassed, meaning the highest quality service. When it comes to stained glass creation and repair, we’re number one in the nation. For more information about our services, sign up with us today!